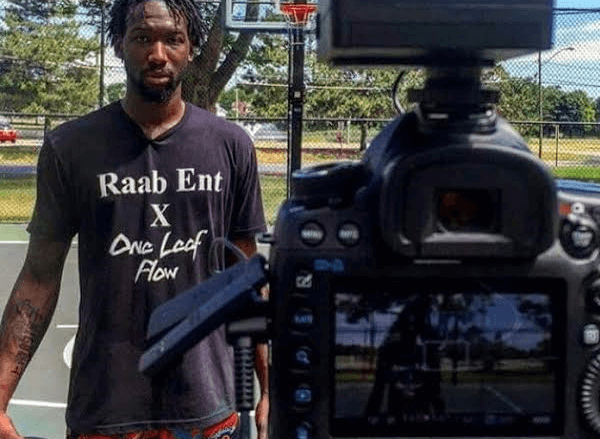 In Rochester works for actor Che Holloway, you met Che Holloway, an aspiring and successful actor who graduated from the School of the Arts. Today Che rejoins the conversation with the story of his friend Britton Bradford, also a graduate of the School of the Arts in 2009. 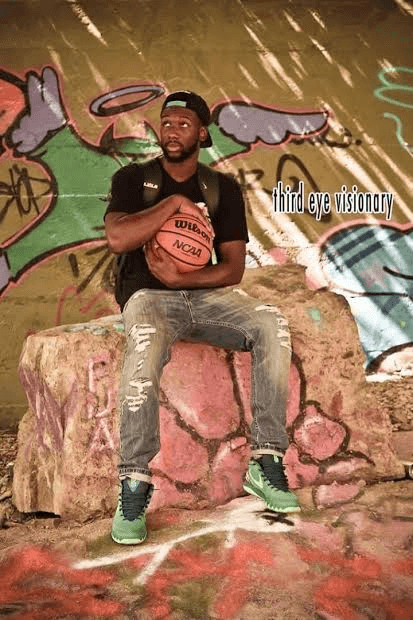 Like Che, Britton is pursuing his passions: basketball, the visual arts, modeling and acting. I had actually met Britton when we did several stories on the basketball games played at Cobb’s Hill. 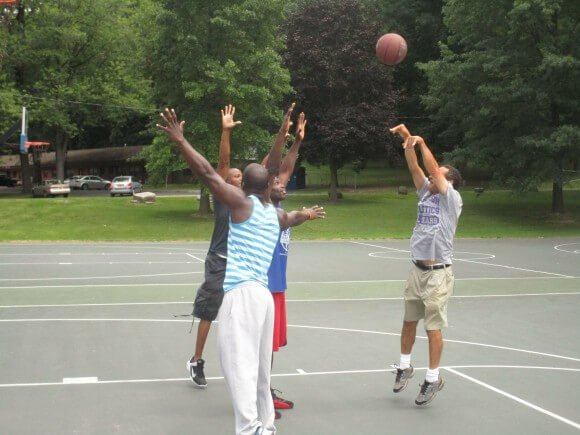 As seen in Rochester’s own street ball Rucker League, Britton has long been a standout in what is considered Rochester’s most competitive street basketball game. Sometimes the fiercest of competitors come from an artistic background. The common theme that both artists and athletes share is passion. Passion to stand up to adversity and triumph, passion to rise up above everything and inspire the upcoming generations to aim for greatness. Britton Bradford embodies this sentiment. 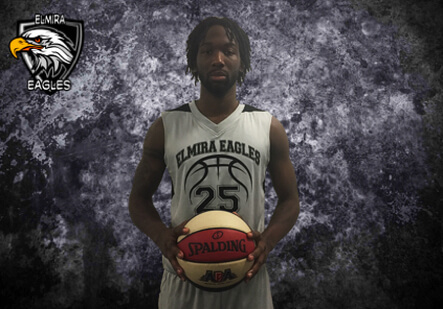 Britton grew up with an background as a visual artist and recently took the next step forward in his athletic career, playing for the Elmira Eagles, a pro team in the American Basketball Association. Britton is also very fortunate to have played pro for the New York City Blue Jays in Brooklyn, N.Y. (Summer of 2015) recognized by the National Professional Basketball League. In his time as a point guard with the New York City Blue Jays, Britton scoring 26 points with 10 assists and 7 rebounds. 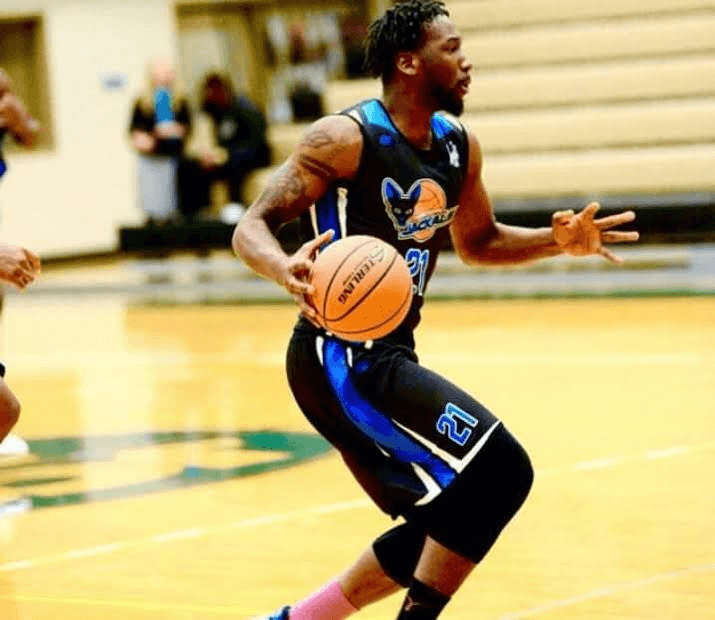 Britton also played small forward for the Jamestown Jackals (2015-2016) recognized by the Premier Basketball League, scoring 20 points with 11 rebounds and 8 assists in his time with them. Britton was also fortunate enough to make an appearance in the AND1 mixtape tour. 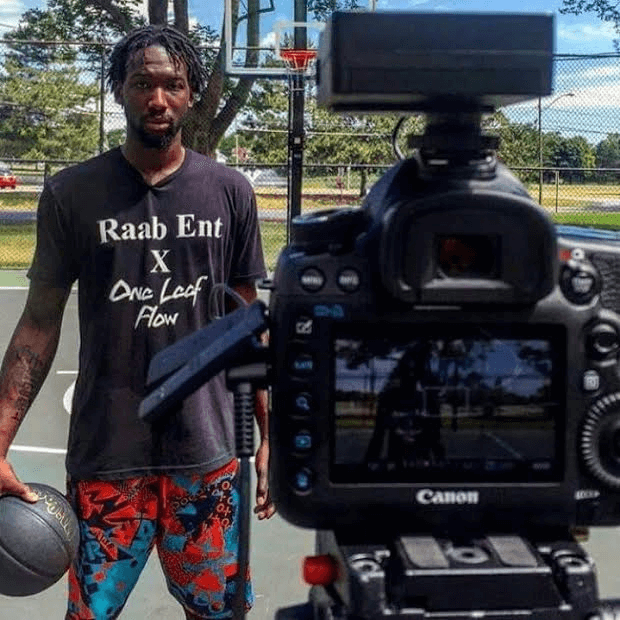 The AND1 tour is a live tour and traveling basketball competition and exhibition presented by B-ball and company and AND1, an American footwear and clothing company specializing in basketball gear. I grew up in Rochester, N.Y. and bounced back and forth around the town a bit before settling on the western side of the city. I’ve always been an artist to a certain degree, but attending the School of the Arts, really gave me the push I needed to pursue art. My high school basketball coach at the time, Mr. Iglesia was a prominent figure in pushing me to reach my athletic potential. I became a 3 sport athlete, participating in volleyball, track and basketball. 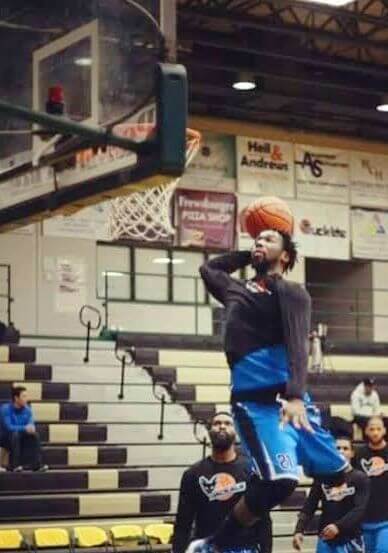 Upon graduating, I played basketball for Monroe Community College where we became a top ten contender amongst other competitors in the National Junior College Athletic Association. My interests mainly revolve around my career in basketball and visual artistry, however I have been known to dabble, modeling for Third Eye Visionary and recently acting in season 2 of the satire web series, Dark Justice Show, created by Mike Gerbino (Darkjusticeshow.com) as well as collaborating locally with RAAB Entertainment and the In Control program. My current goal is to go back to college and continue to play basketball, I also see myself opening up a tattoo shop in the future.